Family Fun. Local Outreach. Global Impact. On May 26, join hundreds of churches who will be hosting tens of thousands of people walking or running 6 kilometers—the distance many children in the developing world are forced to walk for dirty water. Tune in to learn more about our cause, how to host a great event and see how other Host Sites from around the world brought creative ideas to life! This video is led by our World Vision 6K team. When you sign up to host a 6K, we'll equip you with resources like a planning guide, marketing materials, and race day experience goodies. How to update my personal or team fundraising page? - FInd out here! Meet Christy Zacharias, a World Vision Canada Ambassador and repeat Host Site Leader in Canada! 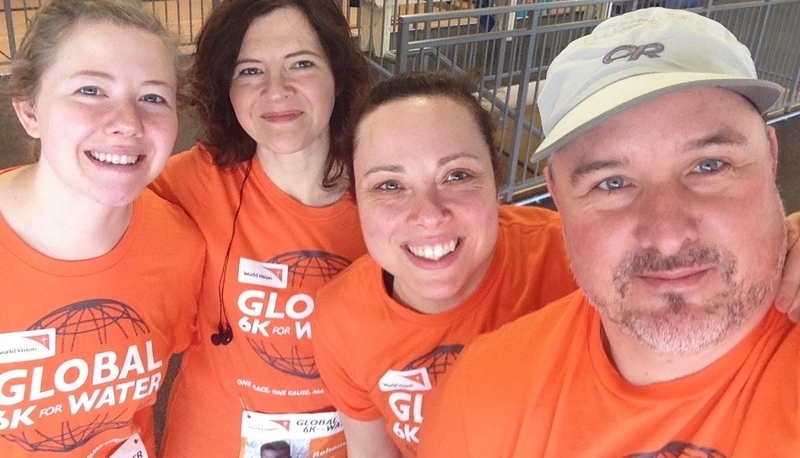 As a supporter and Child Ambassador for World Vision, Christy always wanted to do a Team World Vision event, and when she saw one that had a very manageable distance, date, and could be hosted at her local track, she knew this would be a great fit for her. Backed by her family, friends, and some promotion on social media, Christy’s site was the 4th highest fundraising site in Canada. Christy was inspired after she and her husband visited Zambia and Malawi with World Vision, Christy joined the 6k because she saw the power clean water had to transform communities, by allowing children to attend school. "Being able to run, something I used to do for myself as a busy mom, to help families across the world is a beautiful thing. It turns running into something so much bigger." Pastor Josh Fierra from Gilroy Presbyterian launched the Global 6K at his church in 2015. Josh and his church went all in with the Global 6K. They launched from the stage, reached out to their community and even set up a discount code so the church could pay the registration fee for children.